A recent report on gender equality in global health, the Global Health 50/50 Report, gives high marks to the Global Fund for its progress on embedding gender considerations into policy and programming institutionally and in the field (see separate article in this issue). This report arrives at a critical moment. A number of organizations included in the review have recently been investigated for sexual misconduct by senior staff, including several organizations that performed relatively well on the key areas analyzed by the Global Health 50/50 report –– such as UNAIDS, Red Cross and Oxfam. If a high-scoring organization like UNAIDS is reckoning with its own mishandling of sexual harassment in the workplace, how is the Global Fund handling the issue of sexual harassment? And have recent developments prompted any revisions to the Fund’s policies and procedures in this area? 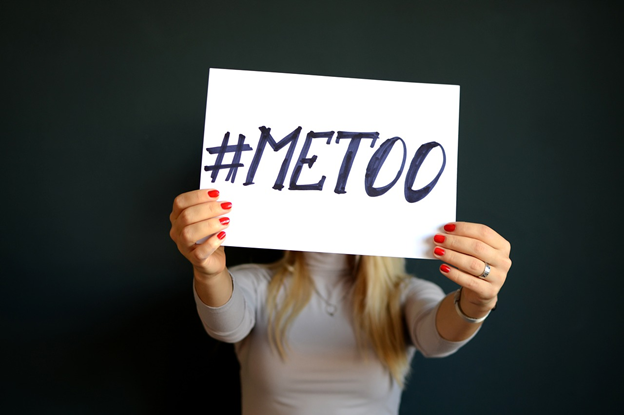 In the balance of this article, we examine the Global Fund’s existing policies, disciplinary procedures and accountability measures relevant to sexual harassment, as well as the Fund’s plans for a review of its existing policies. For its part, the Code of Conduct for employees prohibits them from engaging in harassment or discrimination of any kind. It does not address sexual harassment separately. Victims of harassment have a number of different channels to seek redress. They may seek advice, support or escalation through the Human Resources department, the Ethics department, the Ombudsman, the Staff Council or Health and Medical Services. Employees who raise allegations of bullying or harassment have access to informal and formal dispute resolution processes. The process for investigating a complaint will depend on the nature of the allegations. Anyone who is not a victim but who witnesses an act of harassment can use the same channels to report the offense. In the case of a formal complaint, the disciplinary process includes a number of key steps: intake of an allegation and initiation of the disciplinary procedure; investigation; disciplinary hearing; and a decision on disciplinary measures. It is the Human Resources department that initiates an investigation. The Employee Handbook considers harassment to constitute gross misconduct. Such offenses can be punished by a number of measures including (but not to limited to) a written warning, suspension with pay, demotion, discharge and summary dismissal. A discharge is when a contract is terminated with notice or with payment in lieu of notice, whereas a dismissal is an immediate punishment without notice or payment. The imposition of disciplinary measures is intended to be progressive, though more serious action may be warranted at an earlier stage, including as a sanction for a first proven offense if the behavior is found to be particularly egregious. If the proposed measure is dismissal or summary dismissal, the recommendation will be made to the Executive Director who makes the final decision. Having the right policies is essential but not always enough to ensure a culture of safety. According to Faison, “Policies are an essential building block, and the ultimate solution lies in a culture that takes action and holds any perpetrators to account for their behavior.” Faison said that the Global Fund investigated three cases of sexual harassment (one in 2011, one in 2012 and one in 2015). The allegations were confirmed in two instances and led to summary dismissal of the offender both times. “The Global Fund is committed to taking similar action in any cases that arise,” Faison said. In February, incoming Executive Director Peter Sands informed Global Fund staff that the Chief of Staff, Dr Marijke Winjroks, would lead a review of existing policies in collaboration with the Ethics Officer and the Head of Human Resources, and in close consultation with the Staff Council, to determine whether the policies should be updated or strengthened in light of recent developments. This review will include a series of roundtable discussions with staff that could result in revisions to both the Employee Handbook and the Code of Conduct for Employees. The Global Fund has other codes of conduct that govern behavior beyond the interactions that occur between employees. The Global Fund Board’s Code of Conduct explicitly prohibits harassment, although it does not specifically mention sexual harassment. Neither the Fund’s Code of Conduct for Recipients of Global Fund Resources, nor its Code of Conduct for Suppliers, makes any mention of harassment, although the former encourages individuals to report occurrences of misconduct when they occur (through the Office of the Inspector General, for instance). “Misconduct,” is not defined. The review will also provide an opportunity for the Global Fund to reflect on how to promote codes of conduct covering sexual harassment for implementing partners and suppliers that are appropriate and actionable. The Global Fund has suspended its partnership with Heineken because of reports that the company used female beer promoters in ways that exposed them to sexual exploitation. See separate article in this issue.